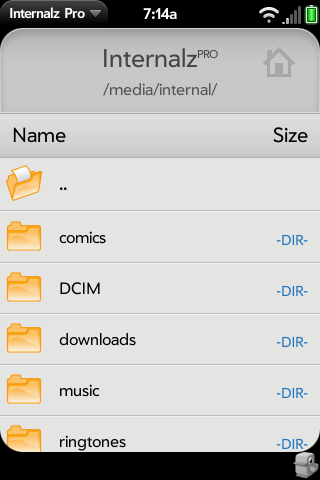 Internalz Pro is the first and best file manager for the webOS. 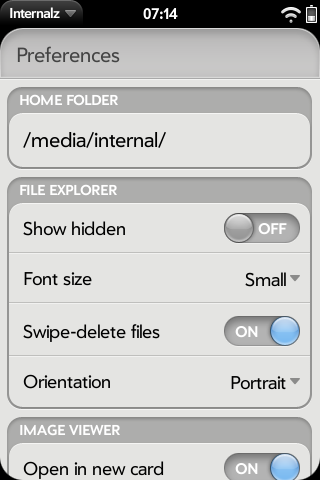 It's feature-packed and includes full device browsing, file/directory moving and copying, easy deletions with optional swipe-to-delete feature, simple renaming, built-in image viewer, built-in text editor, built-in ipk installer, built-in patcher and more. 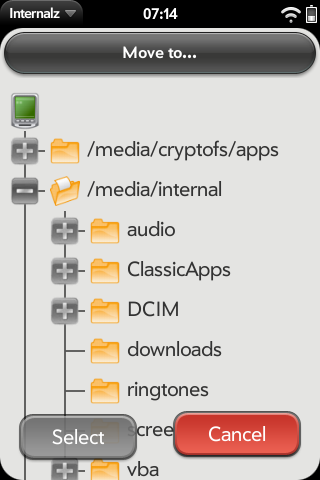 Note: If you're not an advanced user, I recommend Internalz in the App Catalog as an alternative. That version is designed with the average user in mind. A video highlighting the main features can be found here. A tour of the v1.2 updates can be found here. A tour of the v1.3 updates can be found here. A tour of the v1.4 updates can be found here. Donations are appreciated and help support my continued development.